Hey guyz, im cycling a 30l tank to get some rcs in it. The tank is almost cycled and im thinking of getting them next week. I have tested the water and the kH is at 9 and ph is 7 (i have yet to buy a gh test as i bought the jbl pack and didnt realise it does not include gh). I have read about parameter for neo carodina and they say that the hardier the water the better. But i have also read that the water can be too hard which will make it hard for them to molt. What would you recommend for the parameters ? And how much should i start as a basic colony? KH 9 and pH7 is an unusual combination. KH at 9 should mean that pH should be higher than 7.0. Something is not right. Ideally, you would aim for KH 4-6 for RCS, and pH 7. Are these parameters correct for neocarodina? As the kh gh are usually recommended to be higher no? Ideally, you would aim for KH 6-7 for RCS, and pH 7. Those look more like Caridina parameters to me. JayC are better figures to go by! KH of 9 should be fine, although if pH really is low, I must wonder what's lowering it. GH is more important with Neos. I've heard of Neos being kept in water with a GH between 3 and 24(?) but around 7-8 is considered ideal. If you can find someone keeping Neos in similar water parameters as you, that works out best. If not, it doesn't hurt to try and match their parameters so you'll have the best chance of success. Also recommended to get juvies, not adults. I am considering getting a betta, either for the existing fish tank, or I have a 15L which I could set up. Could someone please let me have preferred water parameters, ie GH, KH, PH, TDS ranges. I have been looking on the internet (other than this site) and getting well p*ssed off with reading loads of 'waffle' only to find it doesn't even give these basic details, so please, just the asked info, no explanations necessary at this early point! I plan to put the fish in my long term tank, which uses (dechlorinated) tapwater, or an old 15L which is in the cupboard, but that will probably have the same water parameters as I will run it the same. Actually, sitting here looking at the 'Fish tank', probably too much water movement in there (I have never had a Betta in that tank). I have tried Betta in the past (years ago) but not had much luck and they rarely lived more than 6 months, devastating as they have more character than most other fish, and as they are supposed to be easy to keep, I really don't know why this is? Anyway, start with what the parameters should be, that may stop me going any further????? Back in da game yo. So I was on and off with shrimp the last 6 months or so while I was doing other things and getting into nano softwater fish, building tanks and saving money, now I've got a bit more free time again I just bought a ton of new tanks, equipment and shrimp in the last few months, it's all coming together now. If you are setting up a new aquarium, here is a short primer on how to set up your aquarium properly and efficiently. It may seem daunting at first, but assembling your new aquarium is easier than you think. First get all the aquarium materials ready by washing them thoroughly with warm water. Don’t use commercial soaps and detergents as they are toxic to fish. Stick to the most common and the simplest aquarium ornaments. Sift the gravel over a bucket and drain, repeating the process until you are sure that the gravel is debris-free. The next step in the process is to fill your tank with water. Initially fill around 30% of the tank using room temperature water. You can add the rest of the water right after the internals such as airline tubing, live or plastic plants and other ornaments are added. The air tube is an essential part of the aquarium as it helps with the oxygenation of the water. Plants are generally added to hide equipment, help with the aqua scape or simply aid in the tanks biological ecosystem. The air pump, power filter, and heater are other types of equipment that should be added. You need to treat the water in the aquarium to remove chlorine, which is harmful to your biological filter and could be lethal to your fish. It is important not to overdose on de-chlorinators, as they can have an impact on water chemistry. When an aquarium is cycled, it means that you cultivate or grow a bacteria bed in your tank, specifically in the biological filters. The filters will grow bacteria that digest ammonia which converts to nitrite, which is naturally produced and lethal to fish, shrimp, and coral. Controlling these lethal elements is done by introducing healthy nitrifying bacteria into the aquarium. Before you add fish or shrimp, an aquarium must be cycled properly. This is called the fishless cycle. 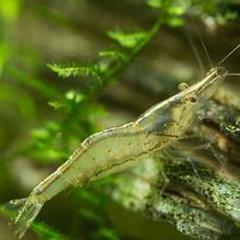 If you place all your fish or shrimp inside the aquarium without the cycling process, chances are they will probably die within a few days. Cycling your aquarium takes time and it’s important not to rush it. In some cases, it has taken 6 – 8 weeks to properly cycle a tank. Before adding your livestock, it is imperative to test the water. Specifically, the levels of ammonia and nitrite. You need to make sure that these two toxic nitrogen compounds are non-existent in the tank. Wait for two months before cleaning your new filter to allow significant growth of good nitrifying bacteria to populate. Acclimatising your livestock is a very important procedure because it helps your newly-acquired fish or shrimp adjust to their new habitat. Even a minor relocation can affect them because of changes in water parameters. Setting up a new aquarium takes a lot of planning and patience. Just follow the basic guidelines and the recommendations in this primer, and you will find that owning an aquarium is fulfilling and enjoyable.